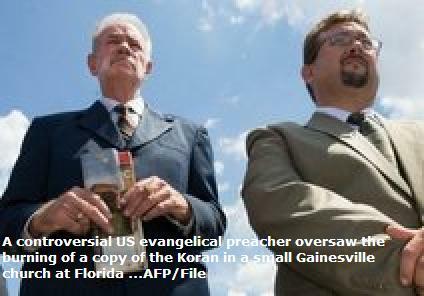 GAINESVILLE, Florida (AFP), Mon Mar 21, 12:59 am ET – A controversial US evangelical preacher oversaw the burning of a copy of the Koran in a small Florida church after finding the Muslim holy book “guilty” of crimes. The burning was carried out by pastor Wayne Sapp under the supervision of Terry Jones, who last September drew sweeping condemnation over his plan to ignite a pile of Korans on the anniversary of September 11, 2001 attacks. Really Quran is burning !!! Dove World Outreach Center (Florida Church ) 'executes' the Quran. But this time, he said he had been “trying to give the Muslim world an opportunity to defend their book,” but did not receive any answer. He said he felt that he couldn’t have a real trial without a real punishment. Life in the normally quiet city of Gainesville is centered around the University of Florida. And while there were public protests against Jones’ 9/11 activities, this event was largely ignored. 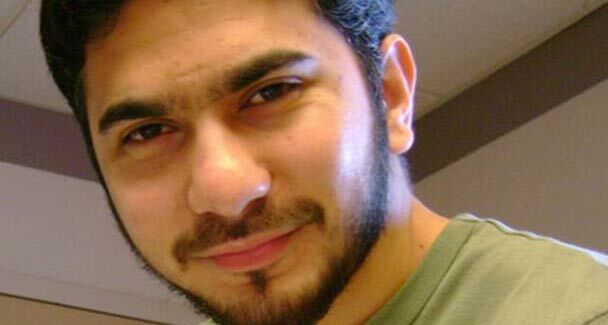 ISLAMABAD |PTI| Mar 22, 2011, 08.38pm IST: The Jamaat-ud-Dawah today announced a reward of Rs 10 crore for anyone who kills American pastor Terry Jones, one of the two preachers who oversaw the burning of the Quran in the US on Sunday. The reward was announced by senior JuD leader Amir Hamza, a close aide of the group’s chief Hafiz Muhammad Saeed, while chairing a meeting of the Tehrik Hurmat-e-Rasool. Leaders of dozens of religious groups attended the meeting held in Lahore. 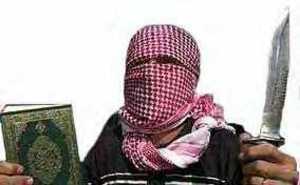 The meeting also decided to organise a protest against the desecration of the Quran on Friday. 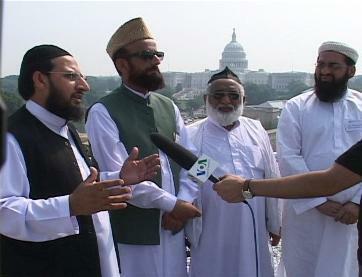 Rallies will be held in cities and towns across Pakistan, said a statement issued the religious groups. A demonstration will also be held in Lahore on Wednesday. The religious groups asked traders, lawyers, students, members of civil society organisations and farmers to join the protests. 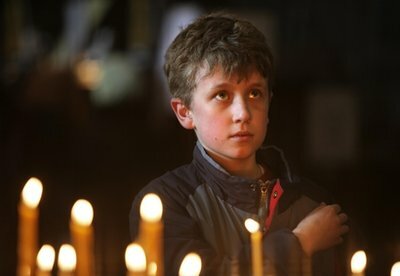 The meeting claimed “Crusaders and Zionists” were openly committing blasphemous acts under the supervision of the US administration and the Pope following “their defeat in Afghanistan and Iraq“. The silence of Muslim rulers is unfortunate and Muslims “must adopt the way of jihad against blasphemous acts by Zionists”, the statement said. The US administration and army and the Pope are patronising those who published blasphemous cartoons of the Prophet Mohammed, the statement said. 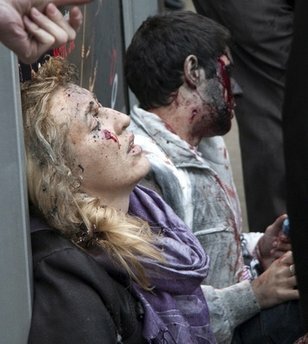 They are “destroying world peace” and these acts are the hurting the sentiments of Muslims, it said. Islamic countries should quit the UN if it fails to stop such acts and Muslims should give a befitting reply to people like Terry Jones so that they do not commit such acts in future, the statement said. The religious groups also decided to convene meeting of the heads of political and religious parties to frame a “policy to be presented to the world leaders”. 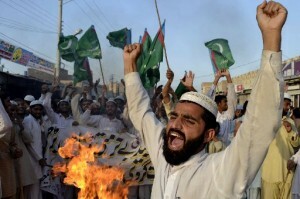 The Pakistan government strongly condemned the desecration of the Quran by two American pastors, describing it as a “despicable act” aimed at provoking “dissent and discord among communities and people across the world”. 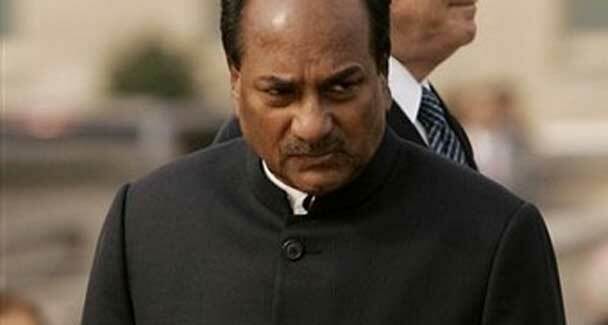 Courtesy : Yahoo News | Times of India | Seattle pi | Asia News it. 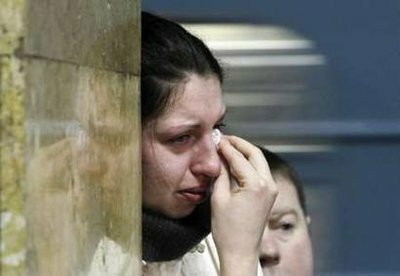 Russia looks for Pak-Afghan link in Moscow metro bombings anlongwith ‘Black Widow’ Islamic terror gang nets. 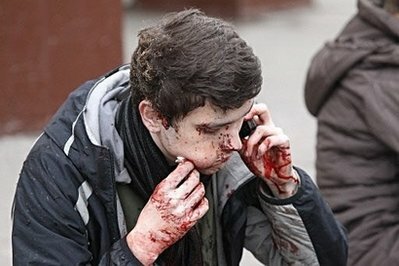 Moscow, Mar 31 : As security experts fear more attacks, Russia is looking for a suspected link of militant organisations in Pakistan and Afghanistan to the terrorist groups in North Caucasus which might have helped in carrying out the suicide bombings in Moscow’s Lubyanka and Park Kultury stations. 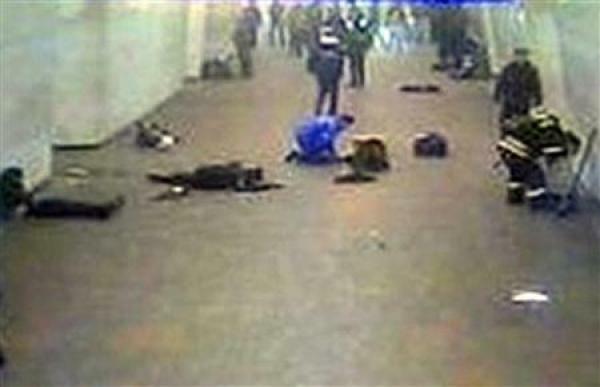 Russian Foreign Minister Sergei Lavrov has already said the blasts in Moscow subways could have been organised with support from abroad, including from so called ”no-man’s land” on the border between Pakistan and Afghanistan. ”I do not rule this out, nothing can be ruled out here,” he said on the sidelines of a Foreign Ministers meeting of Arctic states in Canada, hinting the possible involvement of militant groups from Pakistan and Afghanistgan in the Moscow metro blasts. 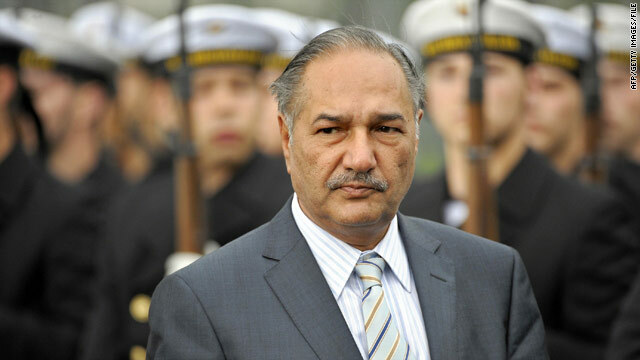 ”Moscow is well informed about the so-called ”no-man’s land” on the border between Pakistan and Afghanistan,” where ”the terrorist underground has entrenched itself,” he said. ”We know that many terrorist attacks ‘not only in Afghanistan, but in other countries too’ are plotted in that area… Sometimes, the trail leads to the Caucasus,” RIA Novosti news agency quoted Lavrov as saying. Lavrov also called for closer coordination of international efforts to tract down terrorists and their sources of finance. ”It is a global terrorist network and it should be combated globally on the basis of UN and other international decisions,” he said. 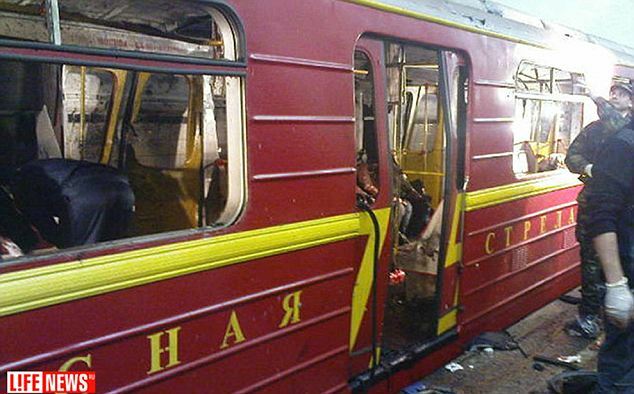 MOSCOW: The Moscow Metro bombings may have a Pakistan connection, said Russian Foreign Minister Sergei Lavrov as security experts warned of more terrorist attacks. 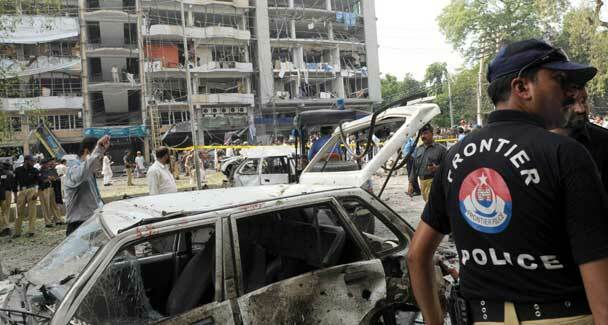 (The death toll reached 39, according to agencies). Mr. Lavrov suggested that militants operating on the Afghan-Pakistan border may have helped organise the Moscow attacks. 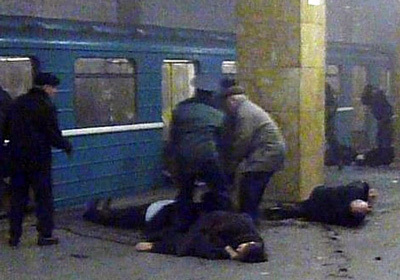 The death toll in Monday’s suicide bombing of two Moscow subway stations rose to 39 as a woman wounded in the attack died in hospital on Tuesday. Five victims remain in critical condition and more than 70 in hospital. “We all know very well that clandestine terrorists are very active in ‘no man’s land’ on the border between Afghanistan and Pakistan,” said Mr. Lavrov on the sidelines of a Foreign Ministers meeting of Arctic states in Canada. 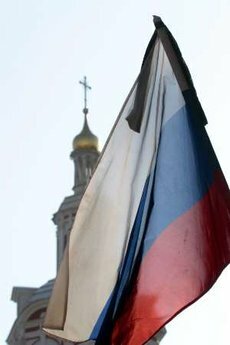 Mr. Lavrov called for closer coordination of international efforts to tract down terrorists and their sources of finance. “It is a global terrorist network and it should be combated globally on the basis of U.N. and other international decisions,” he said. In the past two months, Russian security services killed two Al-Qaeda emissaries — both of Arab origin — in the entourage of Chechen rebel leader Doku Umarov, who proclaimed himself “Emir of the Caucasus” . Experts did not rule out more terror strikes in Moscow and other Russian cities. 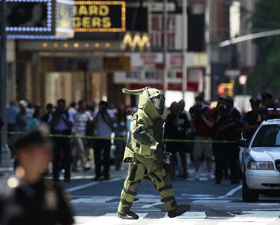 Investigation sources told the Kommersant daily that about 30 suicide bombers had recently been trained in Turkey and in North Caucasus. Nine of them have already carried out their missions, including two women suicide bombers who staged Monday’s twin attacks. 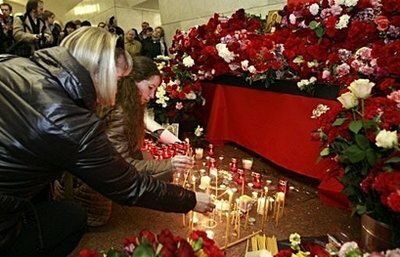 Experts recall that the deadliest bombing of the Moscow Metro in February 2004, which killed 41 people, was followed by a series of suicide attacks in Moscow over the next few months that included the downing of two passenger planes and a bomb blast outside a subway station. 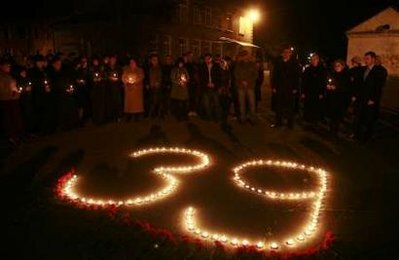 The 2004 wave of terror culminated with the seizure of a school in North Ossetia, in which 334 hostages died, including 186 children. 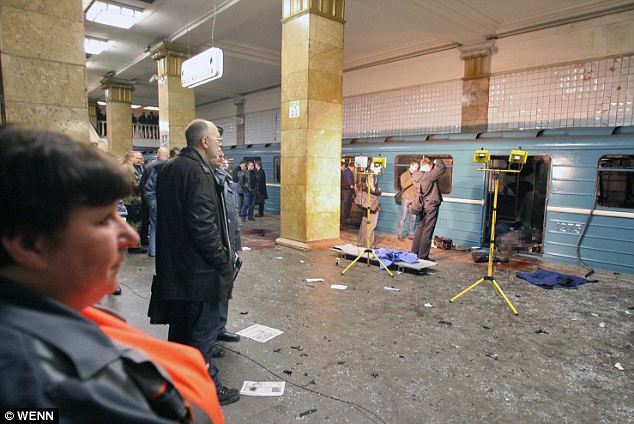 Two female suicide bombers killed at least 38 people on packed Moscow metro trains on Monday, stirring fears of a broader campaign in Russia’s heartland by Islamists from the North Caucasus. Courtesy to : The Daily Mail, Reuters, AP, AFP and Agencies. 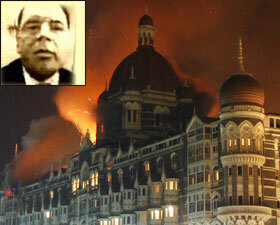 Serving Pak Army men behind 26/11 ?? New York: In a major revelation, Pakistani-American terror suspect David C Headley has confessed about the involvement of serving Pakistani Army officials in the 26/11 attacks, thus exposing for the first time the Pakistan’s direct link in the deadly attacks. It has mantained the role of ‘non-state’ actors in planning and executing the attacks that killed around 160 and injured scores at three places in Mumbai. 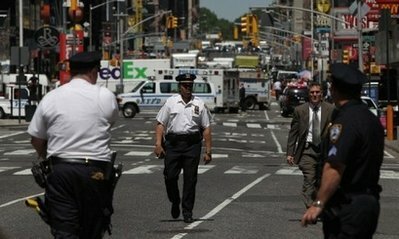 The New York Times and an Indian magazine have confirmed that Headley admitted the same. Till now the American investigators were referring to the handlers as A,B,C,D. 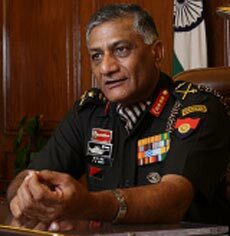 But Headley’s confession has established their identity as major Sayeed, Major Iqbal, Major Sameer and Colonel Shah. 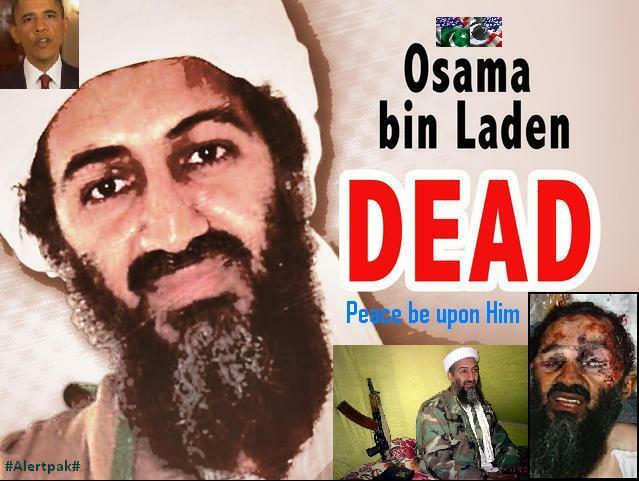 His admission has clearly exposed the close relationship between Al Qaeda and the Pakistani militant group Lashkar-e-Taiba (LeT) and the Pakistan Army, according to a former CIA analyst. Headley has admitted to his own role in the planning of the Mumbai atacks in a Chicago court and India is trying to get direct access to him. Headley’s revelations around a European cell were particularly disturbing, Bruce Riedel, who was a member of the National Security Council in the Clinton administration and is now at the Brookings Institution was quoted as saying by the New York Times Friday. Details of Headley’s activities, contained in his plea agreement with US authorities, “raise troubling questions about how an American citizen could travel for so long undetected from his home base in Chicago to well-established terrorist training camps in Pakistan,” the Times said in a report from Islamabad. Charged with helping plan the 2008 terrorist attacks in Mumbai, Headley, 49, moved effortlessly between the United States, Pakistan and India for nearly seven years, training at a militant camp in Pakistan on five occasions, according to the plea agreement. Headley started his career as a militant scout with LeT, a terrorist group established decades ago with the help of the Pakistani military and intelligence agencies. Lashkar was supposed to have been outlawed in Pakistan in 2002, but it remains active behind the veil of a public charity in Pakistan and, according to Headley’s plea, continued to be assisted by former Pakistani military officials in recent years. The plea names a retired Pakistani military officer, Col. Abdur Rehman Hashim Syed, known as Pasha, as Headley’s main contact with Lashkar. Earlier prosecution documents said that Colonel Syed was arrested last year in Pakistan on unspecified charges, but then released. 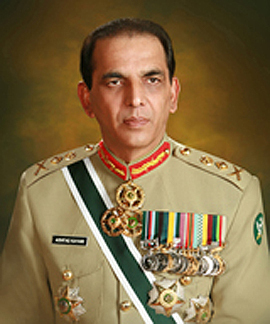 In early 2009 Colonel Syed introduced Headley to Muhammad Ilyas Kashmiri, a Qaeda operative in North Waziristan, according to the document. 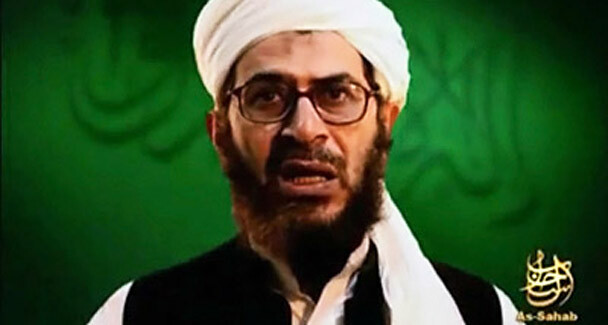 The visit in February 2009 may finally have put Headley on the radar of the American authorities, who started tracking him in the late spring of last year, Riedel was quoted as saying. Headley’s plea agreement with the government was not his first. After being sentenced for drug trafficking in the 1990s, he served as an informant in Pakistan for the Drug Enforcement Agency as part of a deal for a lighter sentence, the US daily said. 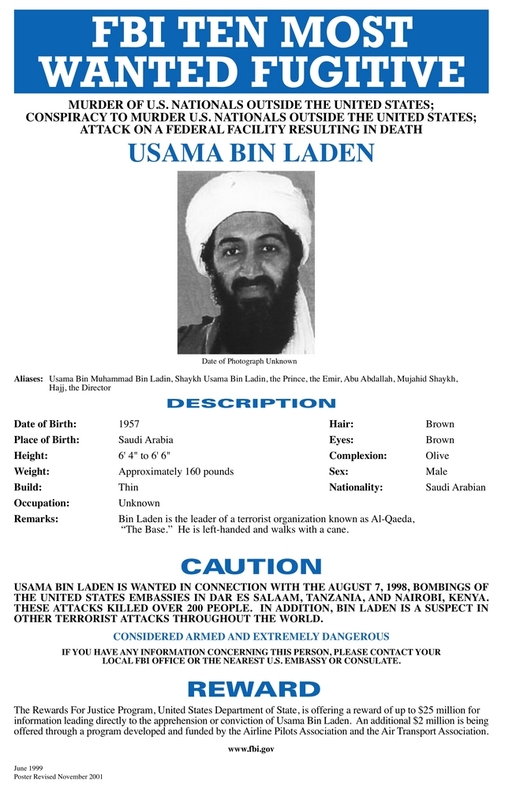 He was in Pakistan for the drug agency from the late 1990s until at least 2001. 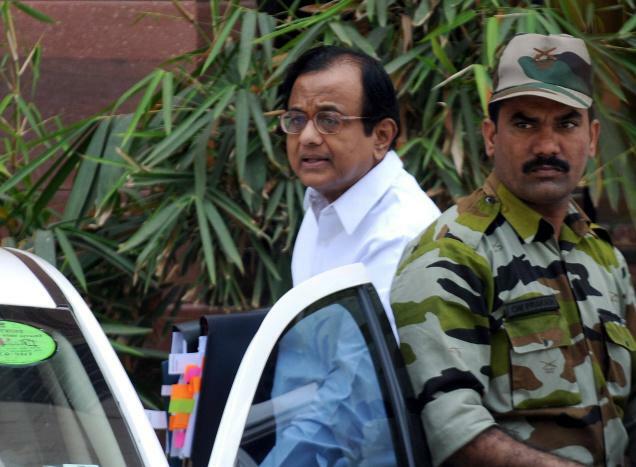 By 2002, he was training with Lashkar, raising the possibility that he had made contact with the militants while still working for the drug agency, the Times suggested.